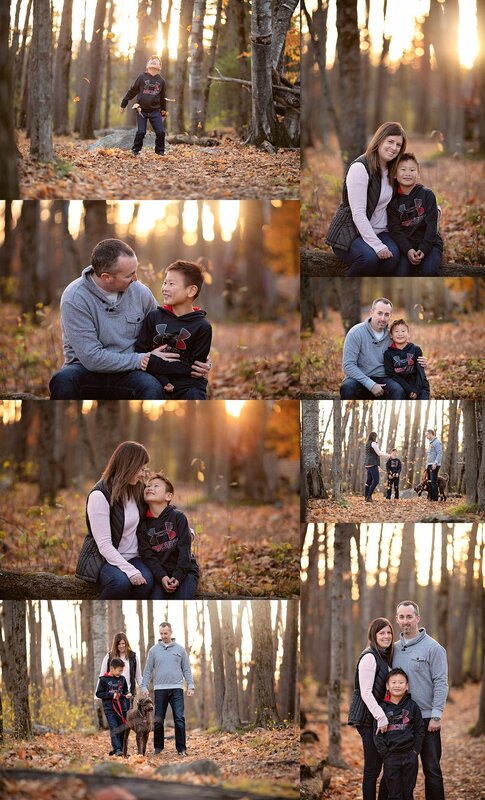 Although I hate to say farewell to fall, at least I was able to wrap up the last of my fall sessions at my favourite location with a great little family. 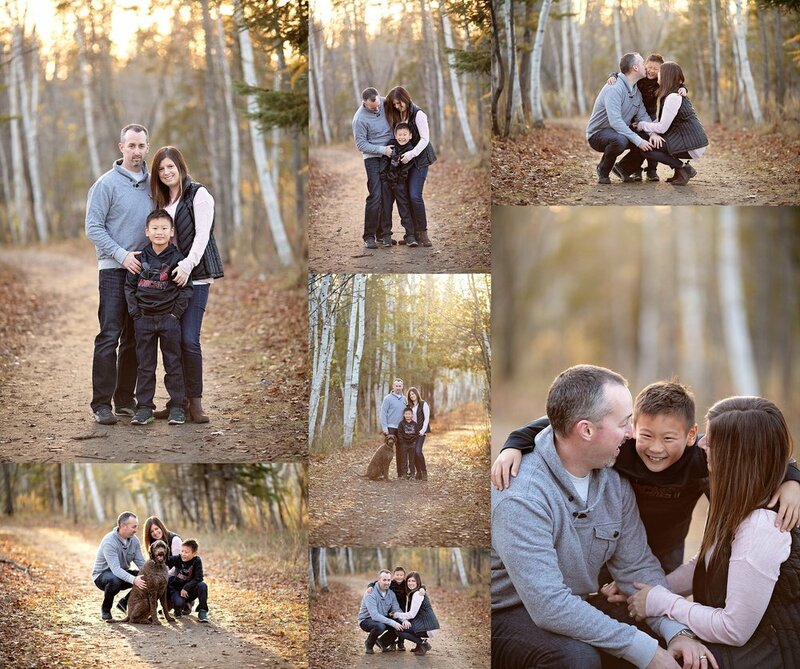 Hockey season is in full swing so finding time to get outdoors with the family – and have family portraits take to boot – is not a an easy task! The memories we make on and off the ice with our hockey families are priceless, but it’s still super important to have time for just your family, whether that includes photos or not. Our kids grow up in a blink; don’t miss it. If you have a furry family member, bring them along! We can find a pet-friendly location for your photo session and include them in your portraits. I’ll bet they’ll enjoy the family fun time as much as you will. Most of the leaves had fallen but that just meant more leaves on the ground to play with!